For AceLabs constantly investing in research and development is essential. The purpose of the company is to maintain high quality standards at all steps of the production process, guaranteeing to its customers, skills through certified vision systems and machines. AceLabs is certified by Cognex like CSI (Certified System Integrator) thanks to the efficient use of Cognex products for the creation of integrated systems customized fot its clients and for its ability to design new solutions for the market. AceLabs is part of the MVTec Certified Integration Partner Program for the integration of MVTec software in vision systems for image processing through the study and implementation of technologies. 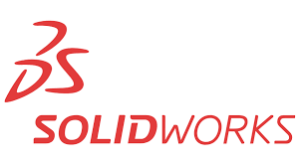 AceLabs is a Solidworks certified company. It is a Certified Solidworks Professional Associate that demonstrates the technical and professional competence in using solid modeling tools (SolidWorks ®) with which the mechanical components of vision systems are designed. AceLabs is part of the Xilinx Alliance program, it is a certified member. This certification is useful for the electronic design control part of systems/machines, having a certificate of excellence in the design of boards is essential.